The Indra500 flash head feels lighter than its stated 4.62 pounds and exhibits a build quality similar to expensive European units. 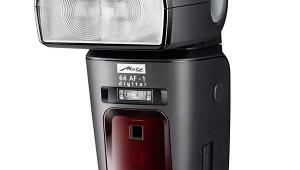 In Manual mode, the head offers eight stops of adjustment from full to 1/128th power. TTL exposures can be adjusted using a knob on the head’s back through plus or minus three stops. With a range of 328 feet, Indra’s TTL capabilities should be handy for wedding and event photographers, especially the ability to control ambient light with a High-Speed Sync mode for shutter speeds up to 1/8000 second. Much like a speedlight, the Indra500 offers second curtain sync functions and you can do flash bracketing along with flash exposure lock for accurate exposures. It can be used to create special effects in Stroboscopic mode with a flash frequency of 1 to 100Hz and a flash count of 1 to 100. 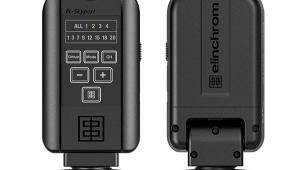 The built-in Odin receiver lets you switch between TTL and Manual modes, adjust power levels, select high-speed sync and second curtain sync via either a Phottix Odin transmitter or Mitros+ flash unit. 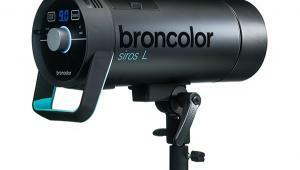 A Strato II receiver is also built in, allowing Strato II transmitters to trigger the Indra500 in Manual mode. 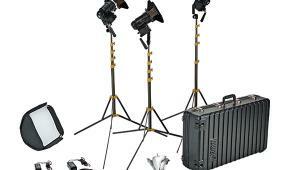 In the studio or on location, you can power the Indra500 with its lithium-ion battery pack or AC adapter. The Indra Battery Pack is beautifully crafted and, after a five-hour charge, provides 400 full-power shots, although the battery itself must be detached from the pack for charging. The battery pack’s dual ports let you power two Indra500 TTL Studio Lights, although only one unit (at a time) was available for my testing. An LED display shows power remaining in the battery’s cells. 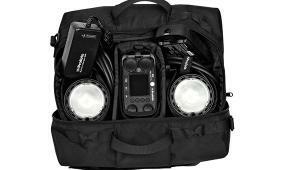 Indra’s AC adapter can power two Indra500 TTL Studio Lights in 110v or 220v environments. A USB port on the battery pack lets you charge smartphones or tablets. 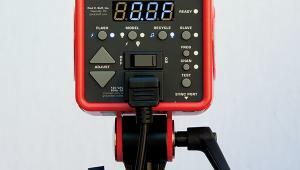 The battery pack can also be used to power speedlights with fast flash recycle times and cables are available for Phottix, Canon, Nikon, or Sony flashes. Shot using a Canon EOS 60D and an EF 85mm f/1.8 lens, the exposure for both portraits of my wife Mary is the same: 1/200 second at f/8 and ISO 200. The difference between them is that for the right-hand image, the Indra500’s exposure compensation was set at minus three stops. This is one stop more than my initial testing with the unit and may (or may not) have something to do with the dark background used for these portraits. After two models in a row canceled shoots, Mary offered to help with my initial testing of the Phottix Indra500. 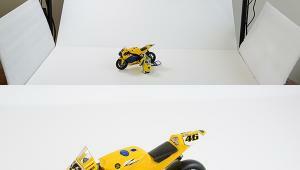 For this shot, I swung the Indra500 around to be more of a front light, with placement at camera right. A medium Plume Wafer light bank was mounted on the Indra500 and a 32-inch circular reflector was placed at camera left to produce a low-key look. To get a proper exposure with the Canon version of the Odin transmitter, I set the Indra500 to minus three stops. Camera was a Canon EOS 60D with an EF 85mm f/1.8 lens attached. Exposure was 1/160 second at f/11 and ISO 200. The color original was converted to monochrome using Google’s Silver Efex Pro and then Color Efex Pro’s Glamour Glow was layered atop that. The Phottix Indra500 comes in a nicely made soft case with nooks and crannies to store bits and pieces, including an umbrella reflector with a Bowens S-compatible mount, making it compatible with the many light modifiers and speed rings using this mount. 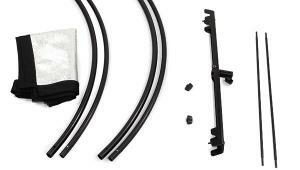 The only part of the kit not built to the highest quality standards was the power pack’s shoulder strap. 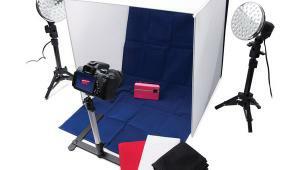 It works well enough to suspend the power pack from a light stand or an assistant’s shoulder but if this kit were mine, I’d look for an upgrade. A User’s Guide for the Odin transmitter was included but not for the Indra500, although a PDF was received later. To launch testing, I asked Cliff Lawson (clifflawsonphotography.com), a world-class high school senior photographer whose work features the innovative use of speedlights, to give me a helping hand. Together we were making test shots in Manual and High-Speed Sync modes within 20 minutes. Even with a User’s Guide, the Odin transmitter was a challenge to navigate and working through the layers of menus on the Indra 500’s rear-mounted display would give Erno Rubik a headache. Eventually I caught on—sorta. TTL flash control, the raison d’être for the Indra500, proved challenging and shots made using EOS cameras and the Canon version of the Odin transmitter were overexposed by two stops. To make sure this wasn’t a glitch with this specific unit, I asked for and was shipped a replacement and it exhibited the same anomaly. When checking with Phottix about this disparity I was told, “There does seem to be a two-stop difference in TTL when using Canon, although the Nikon mode is spot on.” So naturally we tried it with Lawson’s Nikon D700 and they were correct. 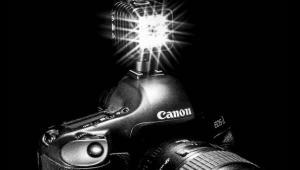 To eliminate problems with Canon SLRs, a firmware upgrade is promised real soon now. In order to complete the review, I borrowed my wife’s Nikon D5100, although I tried other cameras when shooting the Indra500 in Manual mode. 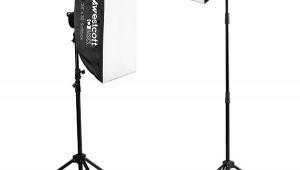 Switching from TTL mode to using the Indra500 in Manual mode, like any other monolight, was easy. I plugged a cable from a PocketWizard PlusX into the Indra500’s accessory slot (it’s covered by a rubber flap) with a corresponding PlusX mounted on the hot shoe of an Olympus E-M5 Mark II. 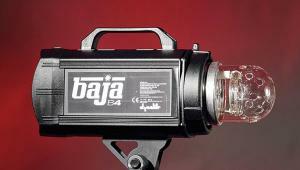 The Indra500 with a hexagonal Plume Wafer light bank is at camera left with a 48-inch square black Westcott Scrim Jim at camera right. Another (non-Phottix) monolight was placed behind the subject who was posed in front of a black Savage Infinity Vinyl Background. Exposure was 1/125 second at f/20 and ISO 200 at 1/128th power. This headshot was made using the Indra500 in TTL mode. It was placed at camera left with a hexagonal Plume Wafer light bank attached. A second (non-Phottix) monolight, without a reflector, was placed directly behind Pamela Simpson and aimed at her back. The background was a black Savage Infinity Vinyl Background but light spilling from the second monolight lightened it to middle gray. Camera was a Nikon D5100 with an 18-55mm f/3.5-5.6 kit lens (at 55mm) with an exposure of 1/200 second at f/9 and ISO 200. The finished image was converted to monochrome using Silver Efex Pro. “Springtime in the Rockies” does not feature the idyllic “flaming flowers” Gene Autry sang about so after many attempts to schedule outdoor model shoots and getting rained and snowed (no kidding) out, I moved the test shoots indoors to my home studio. Since I only had access to a single Indra500 I couldn’t tell how well TTL works with multiple Phottix lights but I did try several setups using my workaday monolights as secondary light sources. I made several images of my model, Pamela Simpson, using only the single Indra500 as the key and only light, then used one of my monolights for some shots as backlight on the subject or aimed onto the background to produce a high-key look. Because the combination of a single large, soft light source works well when photographing single or small group portraits, I attached a medium-sized (53x37x14.5-inch) Plume Ltd. 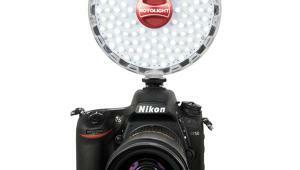 Wafer HexOval light bank to the Indra500 using a Bowens-compatible speed ring. In addition to flash tripping using Odin and Strato II transmitters, alternatives include a built-in optical slave mode and a 3.5mm sync port for cord or cordless tripping options. At one point during a shoot with Pamela Simpson, I swapped out the Odin for a pair of PocketWizards and ended up at 1/64th and 1/128th power in Manual mode while still being able to shoot at f/16 or smaller! Under these kinds of conditions, you should be able to shoot all day (in non-TTL mode) without overstressing the battery or running out of power at an inopportune time. In this mode, you’ll need to use an exposure meter and I ended up accidentally underexposing a stop by using the Nikon’s LCD screen (my bad) as a guide. In this image of Pamela Simpson, the Phottix Indra500 in TTL mode with a hexagonal Plume Wafer light bank attached is at camera left. 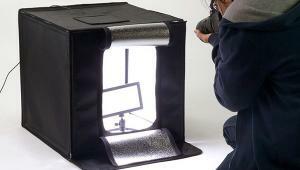 A 48-inch black square Westcott Scrim Jim is at camera right. Background is a collapsible Savage Monsoon muslin that’s reversible. This is the lighter side. Camera was a Nikon D5100 with an 18-55mm f/3.5-5.6 kit lens (at 55mm) with an exposure of 1/125 second at f/8 and ISO 200. And now for a little cosplay with Pamela Simpson doing her Harley Quinn impersonation. I know, there’s no hat. I hate hats. 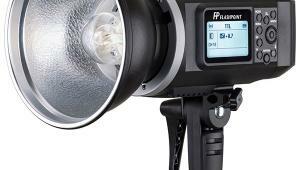 The Phottix Indra500 in TTL mode with a hexagonal Plume Wafer light bank is at camera left. Background is a black Savage Infinity Vinyl. Camera was a Nikon D5100 with an 18-55mm f/3.5-5.6 kit lens (at 55mm) with an exposure of 1/200 second at f/9 and ISO 200. Shooting in the Indra500’s TTL mode was a revelation to me. Once you zero in your exposure using whatever exposure compensation setting works with a particular background and subject, you’re free to experiment with aperture and shutter speed without fiddling with the monolight. 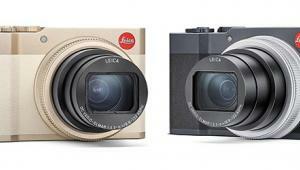 In the exposure compensation department, the Indra500 is not perfect but is fairly consistent. You may be used to controlling exposure by changing the camera’s aperture, a habit I’ll admit that was hard to break, but using the Odin transmitter to adjust the Indra500’s exposure compensation isn’t all that hard to get used to. The Indra500 system’s modularity is impressive for how it integrates Phottix’s speedlights and transmitters as well as speedlights from camera companies. There is a precision in the way the components are designed and manufactured and while it’s not inexpensive ($1,199 for the kit I tested, plus another $299 for the Odin transmitter), it’s not prohibitively expensive for anyone looking for the building block of a versatile TTL location and studio lighting system.